Are you a windows expert? and wish to learn about Linux distros then I recommend you to install it on your local machine. You can install Linux distros along with Windows kernel or you can install it on virtualization software such as Oracle Virtualbox. 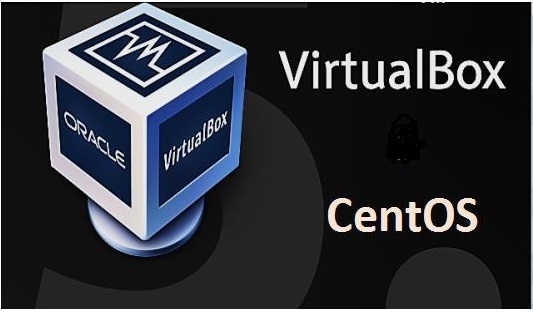 In this Article, I will explain to you how to install Centos-6 OS as a Virtual machine on Oracle Virtualbox which is running on Windows-7. Before proceeding with the installation download Centos-6 iso file to your local machine. You can use the following mirror site or any other available. Once the iso file is ready then follow the below steps. 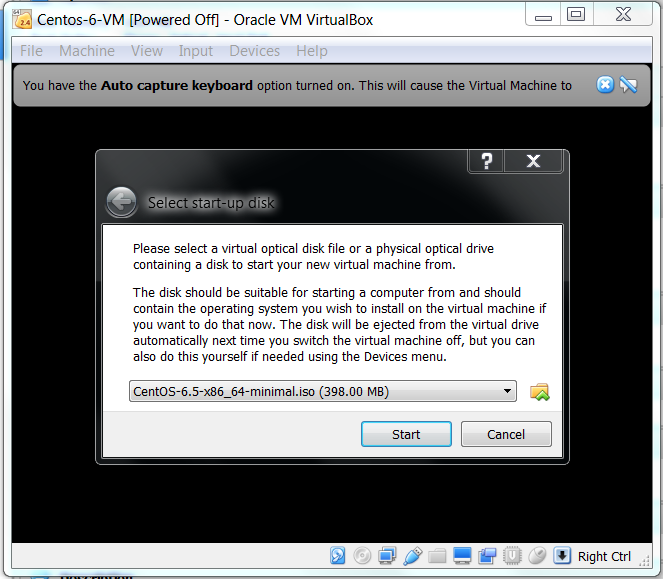 Start the VirtualBox and click on the NEW icon or press Ctrl + N to install the new Virtual machine. 2. 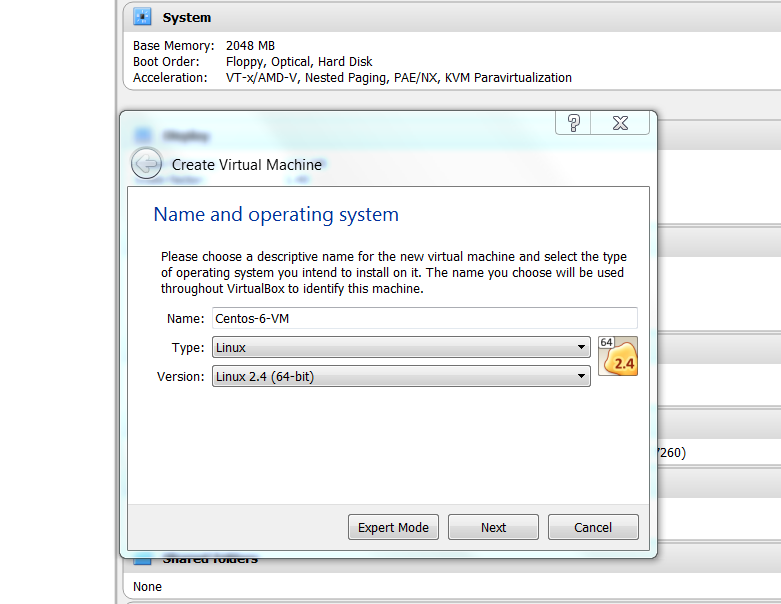 Give a name to your VM and select type and version of the Operating system. 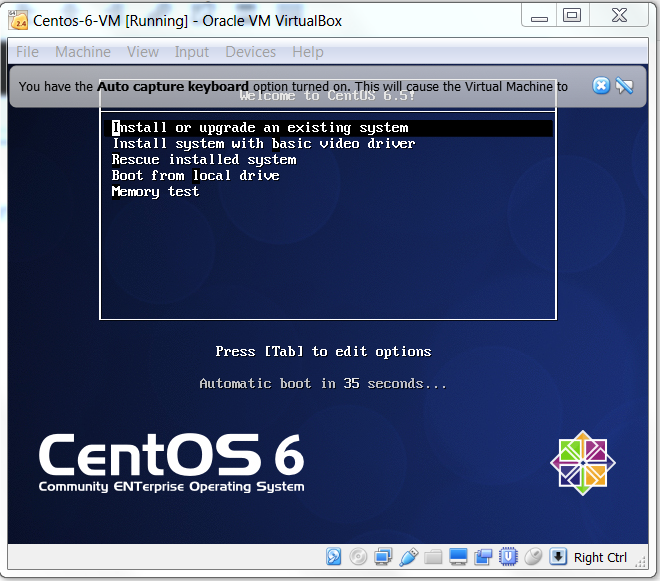 Here I have given OS name as Centos-6-vm and choose type as Linux and click next. 3. 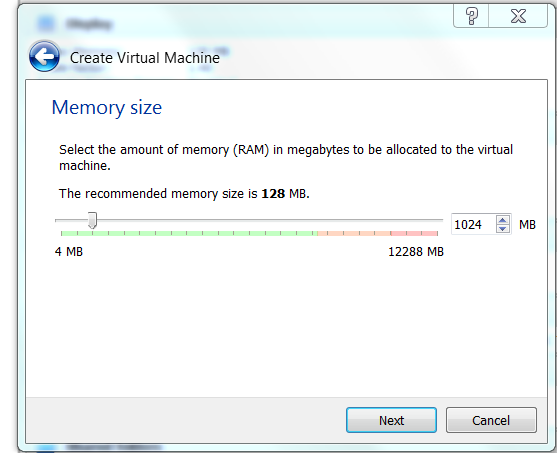 Choose the amount of memory required for your VM. The pop-up window shows the total amount available memory on your host machine. I recommend you to set at least 2G memory or the installation takes a lot of time to complete. And then click next button. 4. Next window you will get 3 options to create hard-disk. If you choose this option then you can add physical storage to your VM. You can use an external drive which is attached to the host machine or you can use unused physical storage present on the host machine. It converts existing host machine hard disk to virtual disk. It has 3 types that we will see in the next pop-up window. c) use an existing virtual hard disk file. 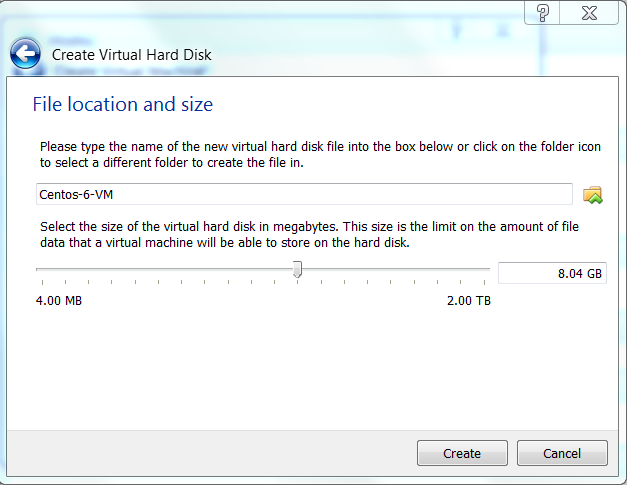 If we already have a virtual hard disk file then we can use it for our new VM. 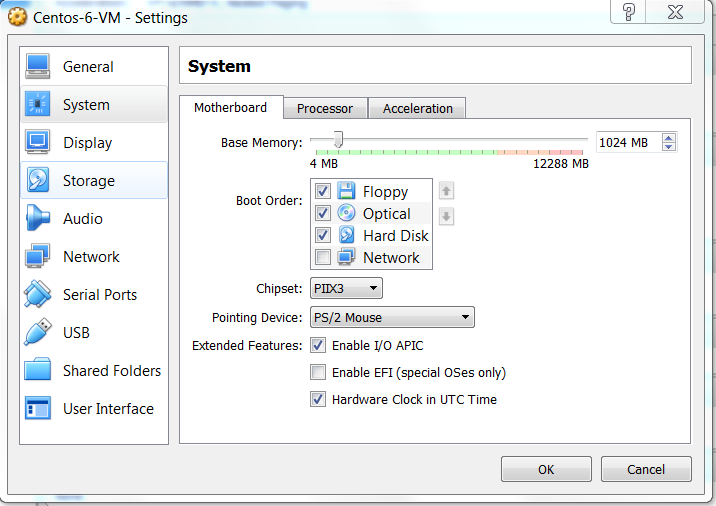 In the below image you can see I have already created two VM, so I can use the virtual hard disk file of these VM. 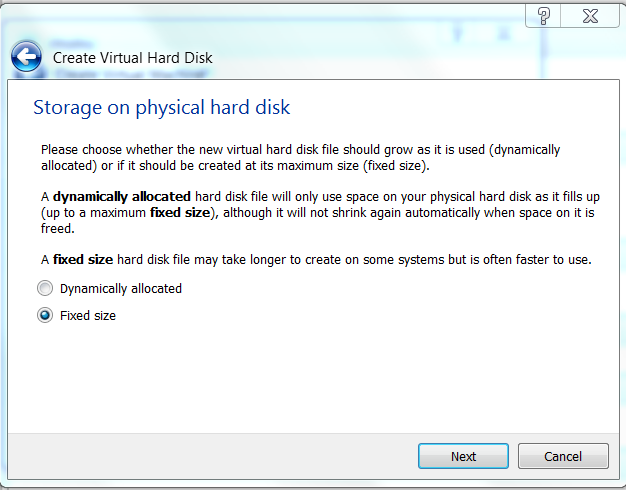 Here, I am choosing the default “Create a virtual hard disk now” option and click Create. In the next pop-up window, it will ask us to choose the Hard disk file type. Here I am giving a small description of each file format. 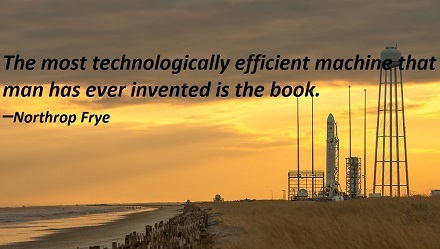 You can use any one format based on your requirement. This file format is Virtualbox own file format for the guest hard disk. 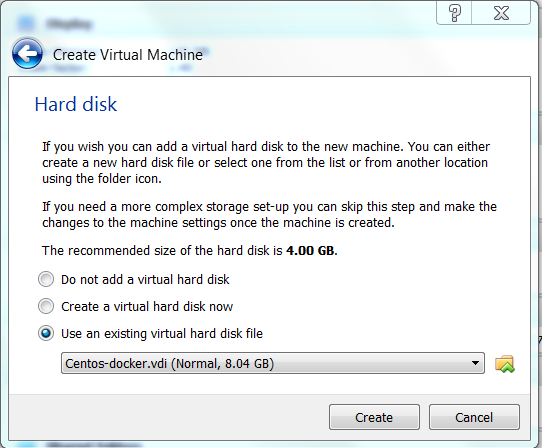 This format is will be used when you create a new virtual machine with a new disk. VHD format is Microsoft virtual pc format. It also supports dynamically allocated sizing. It’s an open file format developed by VMware for their server and Desktop virtualization. It also supports dynamically allocated sizing. 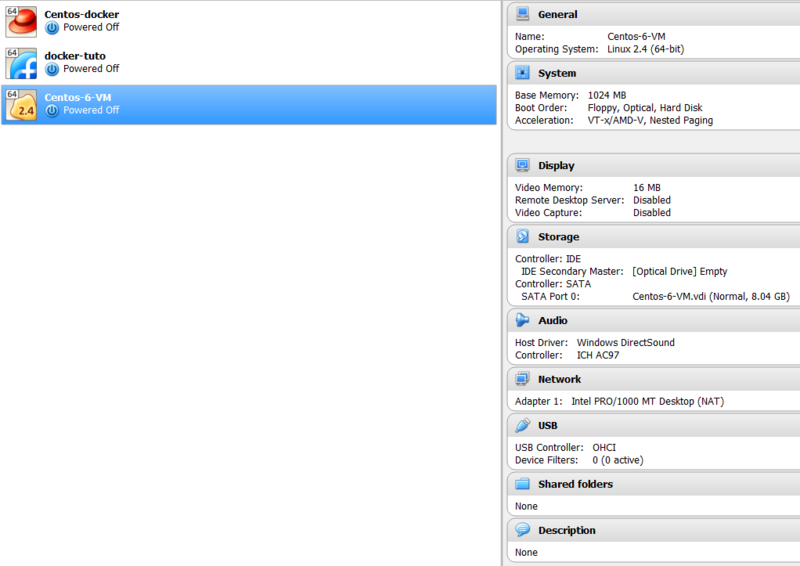 Here I am using the default VDI option. 5. Select the storage type. I have chosen a fixed size. Then click create it will take some time and you can see a new VM created left side and details on the right side. 8. To change any current configuration like memory or CPU click settings button present left the top and then select System in the new pop-up window. Once done click ok to save the changes. 9. Start the newly created VM for installing OS in it. Before starting we have downloaded the Centos-6 ISO image, browse the location of this file by clicking the folder icon. 10. Click the Start button to start Centos normal installation. Once the OS installation is done you can create a network between your host machine and guest VM, for this please follow below link.